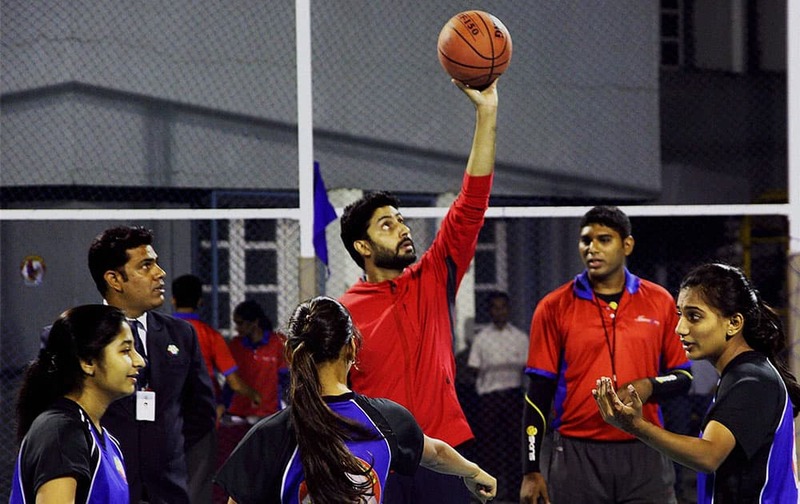 Bollywood actor Abhishek Bachchan plays basketball during the launch of a multi-sport court at Jamnabai Narsee School in Mumbai. Bollywood actors Sonakshi Sinha, Sanjay Kapoor, Arjun Kapoor and Manoj Bajpai at a promotional event in New Delhi. 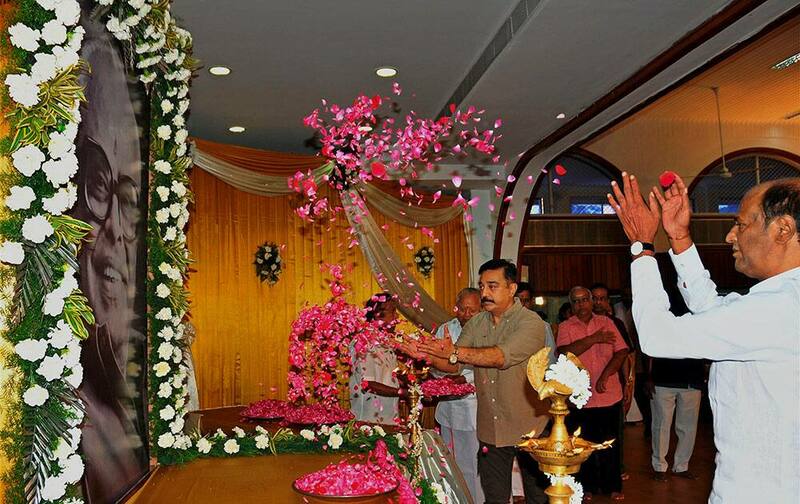 Actors Rajinikanth and Kamal Haasan pay floral tributes to Dadasaheb Phalke Award winner and veteran film director late K Balachander who passed away recently, in Chennai. Reese Witherspoon, winner of the chairman’s award, walks on stage at the 26th annual Palm Springs International Film Festival Awards Gala, in Palm Springs, Calif.